The London Orthotic Consultancy (LOC) is a specialist orthotics clinic. Over the last decade it has earned an enviable reputation for the care and treatment of children and adults and for the production of high quality bespoke orthotics Last year LOC opened its Video Vector Gait Lab at its headquarters clinic in Kingston-upon-Thames; this has enhanced LOC’s ability to fine tune lower limb orthotics. A special monthly clinic is run in conjunction with the world renowned physiotherapist Elaine Owen MBE MSc SRP MCSP. Elaine has spent her career in the NHS working with children with movement disorders. We also have clinics in; Kingston upon Thames, Harley Street (Central London), Cambridge, Bristol, Romford, Leicester and Northampton. To make an appointment at any of our clinics ring 020 8974 9989. Visit our website for more information and our full services. 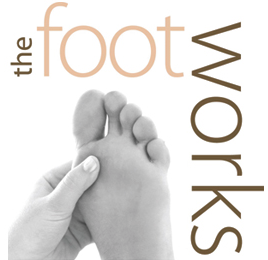 At ‘the footworks’ all our therapists endeavour to deliver a caring and professional service. We have a wealth of experience and someone will always be happy to discuss any of our services. We offer a warm, safe and friendly environment, where confidentiality of our clients is paramount. governing bodies within their field are available on request. See our associate podiatrist's website. We are a long established private clinic and our aim is to provide medical care and customer care of the highest quality. We provide excellent care for your general wellbeing including podiatry/­chiropody, remedial massage, sport injury/­physiotherapy, biomechanics, musculoskeletal services, just to mention a few. The clinic is situated close to Junction 5 of the M65 in Blackburn Lancashire offering professional treatments of the highest standards to private clients. Total Orthotics offers a complete service to help relieve pain and problems associated with biomechanical injuries and long term conditions. My knowledge and experience will ensure you and your family receive the level of care you deserve. I have many years of experience measuring and fitting footwear from Reed Medical. For an assessment for your footwear needs please contact me. Appointments offered in Derby and Nottingham. See website for more details. The Quays Orthotic Practice, Lincoln, was established in 2011 by Pam Coulton BSc (Hons) MBapo, as a Private Orthotic clinic to provide friendly and accessible Orthotic care to the people of Lincolnshire and beyond. Our renowned Wimbledon Clinic on Arthur Rd offers a wide range of prosthetics and orthotics services. Managed by clinical director Werner Herbst, this specialised sports biomechanics and bracing clinic is recognised for providing an excellent orthotic of high-tech orthotic solutions using advanced scanning technology, gait analysis and the expertise of highly-qualified and skilled staff. The service now also provides a full range of prosthetic care for both upper and lower limb amputees. With over 30 years experience in fitting and supplying footwear I am able to offer footwear solutions for even the most difficult feet. Services offered can range from advice about suitable footwear to a complete bespoke solution tailored to your needs. Come and visit me in my clinic near Huddersfield or home visits can be arranged throughout the North of England. Hampshire Orthotics Ltd is a private orthotic clinic for all footwear, limb and spinal bracing. Lucy Best, BSc (hons), HCPC registered, MBAPO, MISPO, director and orthotist has many years of clinical experience in the UK and overseas and would be very happy to meet you and discuss your requirements. The Body Mechanic Orthotics Ltd is based within The Victoria Park Clinic, an allied health practice in a beautiful part of Cardiff. Led by Senior Orthotist Heidi McCarthy (BSc Hons) HCPC, the clinic is family friendly, with hours to suit everyone. Great transport links, a beautiful park directly opposite and a whole host of cafes await following your visit. You can book your appointment online with just a click of this Link or call the clinic on 02920564111. We look forward to welcoming you and your feet however big or small! Mark Elmer has been practicing in the field of Orthotics for over thirty years now. His clinical experience is comprehensive and includes Diabetic and Rheumatology patients. Additionally his career has always revolved around paediatrics and increasingly in the field of sports orthotics. Orthotist in the bristol and Bath areas specializing in Adults and Childrens footwear. Please click on the link below for address of both sites. Having problems finding footwear on the high street? Have painful feet?